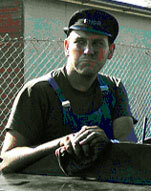 Romney, Hythe and Dymchurch Railway Engine Driver, Kevin Crouch MEMORIAL WEBSITE. 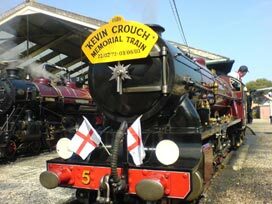 Kevin Crouch lost his life after a tragic accident, his locomotive 'Hercules' of the Romney, Hythe and Dymchurch Railway was struck by a car at the Burmarsh Road level crossing in 2003. For fifteen years he was a volunteer on the Romney, Hythe and Dymchurch Railway. He started with his brother Andrew, Andrew left when he got married but Kevin stayed on with the rhdr and learnt all there was to know about this wonderful 15 inch gauge steam railway. He then passed out as an engine driver. Kevin was in his glory because he had his dream job. 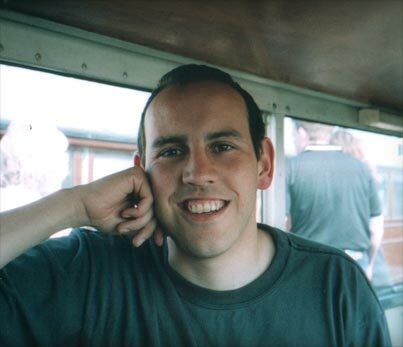 Whenever we visited the Romney, Hythe & Dymchurch Railway and saw Kevin he always had a big smile on his face. Because he enjoyed what he was doing. He always had a passion for trains and trams. He had a large collection of tram and train videos, books and a large collection of model trams. He enjoyed visiting Blackpool to see the trams on his holidays. 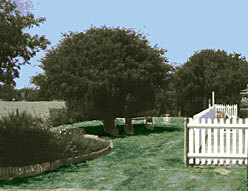 If we did not go away he spent his holiday at the Romney, Hythe and Dymchurch Railway. 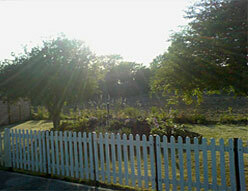 The Kevin Crouch Memorial Garden At Dymchurch RHDR Station is in full bloom and is looking beautiful! We hope that anybody visiting the garden will find it a peaceful and great place in which to reflect, admire, have a picnic or just chill-out whilst viewing the railway that Kevin loved so much. We will be posting some recent pictures very shortly. We have had some problems with the website email address contact@kevincrouch.co.uk this may have resulted in a number of emails being either not delivered or returned. If you have sent an email and experienced this we apologise, however it has now been resolved and is back to normal, so please do contact us.